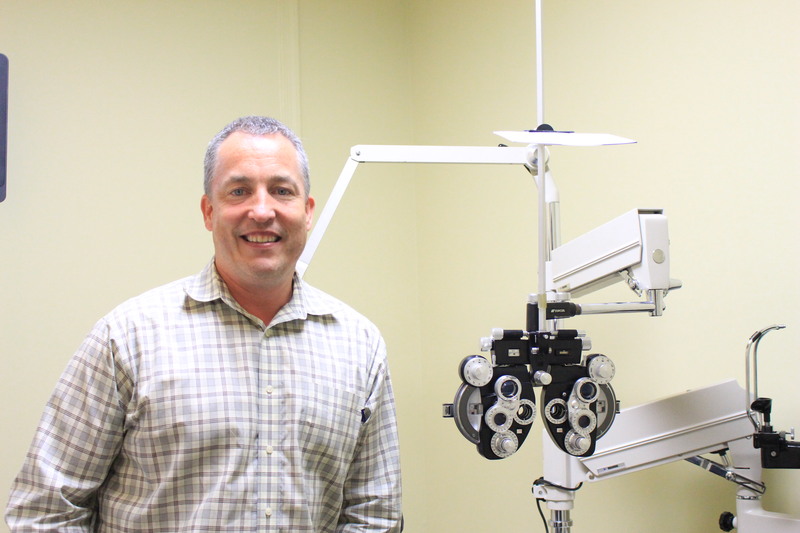 Active in the community and passionate about holistic health Dr. Nilsen opened up an optometry practice in Richmond. He has been practicing for 19 years and has moved into his new facility 8 year ago where he offers full scope preventative eye care. 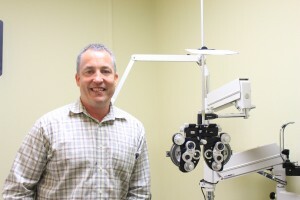 Dr. Nilsen offers holistic health along with eye care. Patients are offered blood pressure checks, blood sugar checks, and are connected to an endocrinology medical group. Dr Nilsen encourages patients offering them tools through collaborative care. Eyes are the gateway he says to preventing serious and dangerous health situations from unfolding. They are a non – invasive way to look at your vascular health and often can help identify if a patient is in danger of diabetic issues. Dr. Nilsen’s eye care is a small community based practice composed of 4 doctors. He and his wife are both the founding and practicing doctors and 2 others eye doctors serve in their facility. He often speaks about his ideal client, a 55 year old man who doesn’t like going to the doctors, suffers with hypertension and is unaware that he is diabetic. He may not go to the doctor but will come in to get his vision checked. During this visit Dr. Nilsen offers more than an vision check, he offers to check his blood pressure, blood sugar levels, and connects him with specialists who can help him prevent being in the emergency room. His passion has led him to lecture on safety eye-ware at different companies in Richmond. He and his team also work with a local church, Huguenot Baptist Church, during their annual fair offering check ups and donate eye ware to those in the community who may not be able to afford the services or high grade products they offer. Most of all I enjoyed the engaging conversationalist, walked away impressed by his kind and gentle nature, and with a better understanding of how to address my itchy eyes during this allergy season. Many thanks to Dr. Nilsen for being one of our first clients here at Global Painting!